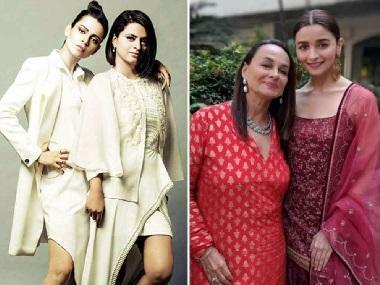 Kangana Ranaut's sister, Rangoli Chandel, seems to continue her tirade against Alia Bhatt and mother Soni Razdan on social media. Chandel brought in Alia's father and filmmaker Mahesh Bhatt into the argument by stating that Bhatt threw a "chappal" (shoe) at the actress. In a bid to defend her sister Kangana, Chandel accused Bhatt of the act. She also stated that Bhatt had hurled the shoe at Kangana, then, only a 19-year-old, at the preview of her film Woh Lamhe. 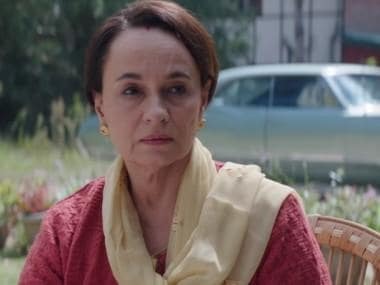 Chandel's attack on Mahesh Bhatt came after Soni Razdan, in an indirect reply (now deleted) to Chandel's previous tweet, wrote about the actress, "Mahesh Bhatt is the man who has given her a break ... she goes on to attack his wife and daughter. Daughter over and over again. What is left to be said then about abusing and hatred I wonder. Apart from character of course. Agenda ? What’s hers ... ?" Kangana's sister went on with her rant against Alia, replying to a tweet claiming Kangana was "jealous" of Alia. Chandel sarcastically said, "Of course Kangana is jealous of Alia’s super model looks and fashion sense... Her exceptional IQ and speeches along with refreshing writings, directorial skills." Chandel even referred to rumours that Kangana had taken over her account to post these messages saying, if indeed Kangana would have, the actress would have "set the place on fire."